Kinanis LLC, being an approved Nominated Advisor, has successfully achieved the admission of the company Hebson Holdings PLC in the Emerging Companies Market of the Cyprus Stock Exchange ("CSE"). Our firm, through the efforts of its specialized team has advised and guided Hebson Holdings PLC towards a successful listing and will continue to provide its support in order to ensure that our clients fulfil their ongoing obligations with the CSE. The CSE, through the Emerging Companies Market which is a non-regulated Multilateral Trading Facility, effectively provides international investors with the opportunity to list securities and raise finance in a recognised stock exchange within the EU. 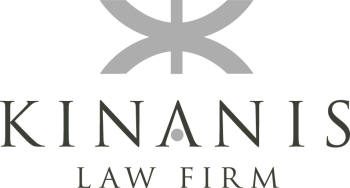 Kinanis LLC, since its authorization as Nominated Advisor by the Cyprus Stock Exchange, has been advising and guiding international investors and private clients who wish to be admitted to the Emerging Companies Market.